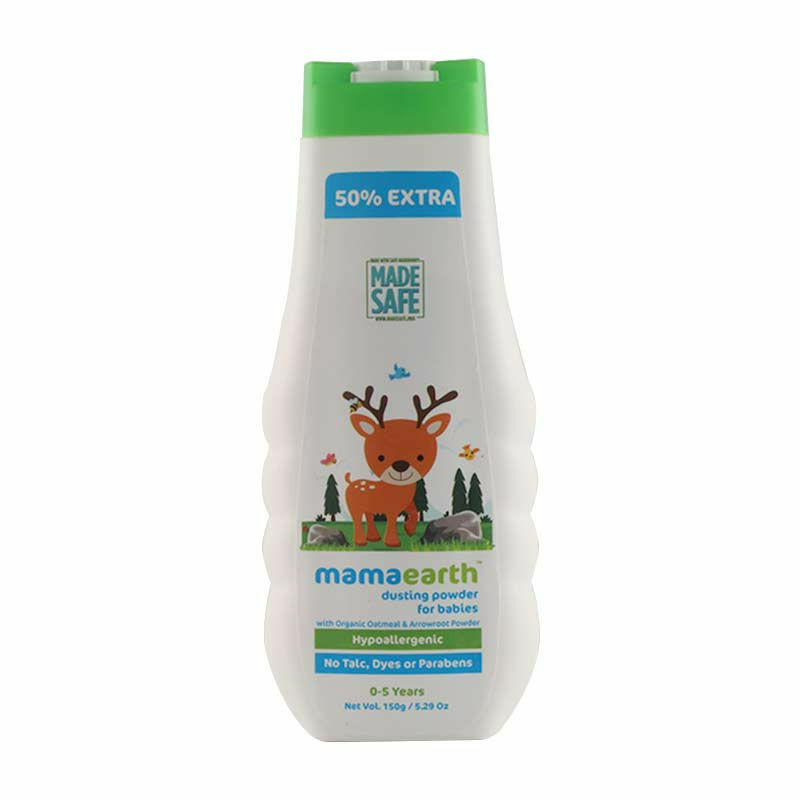 Mamaearth's Organic Dusting Powder is a dermatologically tested 100% natural talc-free body powder for babies. Its organic and natural ingredients help baby's skin retain moisture while treating and preventing diaper rash. Organic oatmeal acts as a skin protectant and prevents dry, itchy and irritated skin by maintaining its moisture barrier. Natural corn starch is antimicrobial and helps absorb extra moisture. This baby powder is absolutely safe for your baby and contains no harmful chemicals like talc, sls, paraben, phthalates or artificial fragrances.